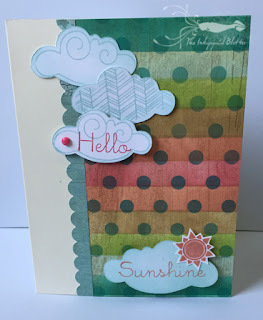 We had so many beautiful entries for last week's seven color ( Seaside paper colors) challenge: Glacier, Lagoon, Pear, Hollyhock, Sorbet, Desert Sand, Colonial White) It was a challenge for the Design Team to pick the winners! Thanks to all the wonderful women who took part in our challenge. Congratulations to all our fabulous winners! Don't forget to grab your winner's badge from the top of this page. If you have been an Award Winner (from any week) and would like to join us as a Guest Designer please contact Marie at mflayer at comcast dot net. 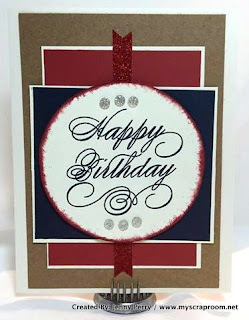 There is still time to enter this week's challenge--only four colors to combine: Cranberry, Canary, White Daisy and Slate. 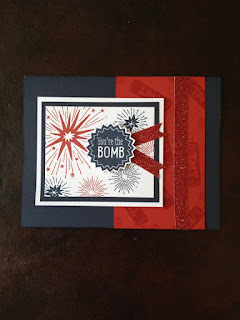 You have until Thursday evening, July 30 at 9PM CDT to enter your lovely creation here. 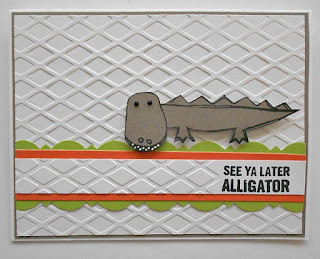 Now, head on over to see what our talented Design Team has to inspire you. We hope you will find time to join us this week. 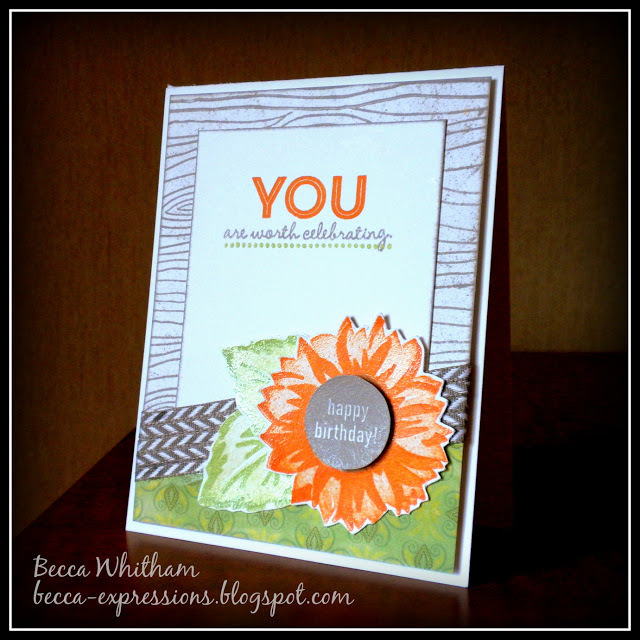 The Diamond winner is Becca W and her lovely flower card. 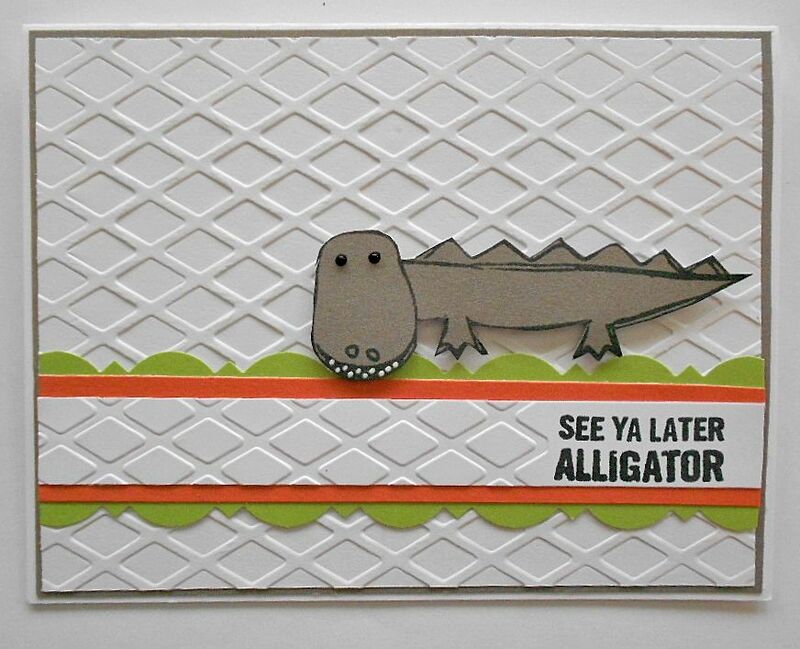 The Emerald winner is Debi and her cute alligator card. 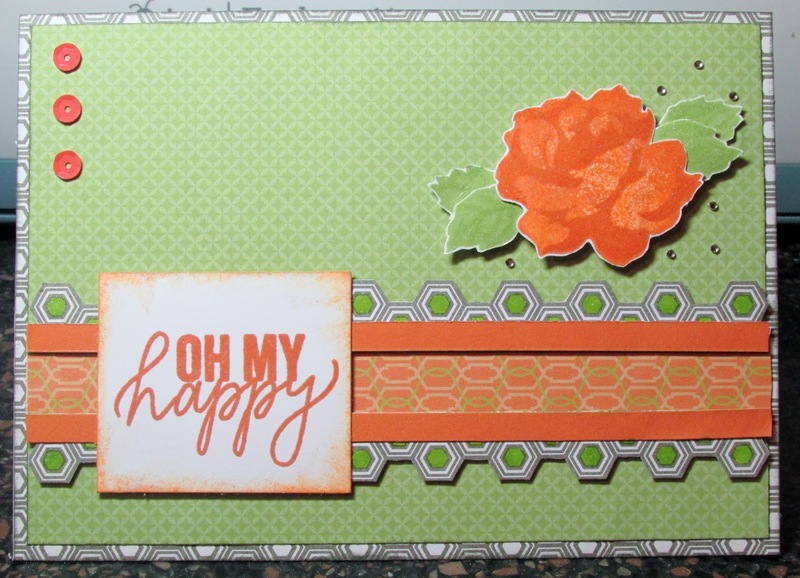 The Ruby winner is Sue R. and her Happy card. The Sapphire winner is Jody G. and her lovely bow card. Stop on by and leave a comment for all these lovely ladies and give them a smile! A big thank you to all who participated! We love seeing your creativity! Congratulations to our winners. 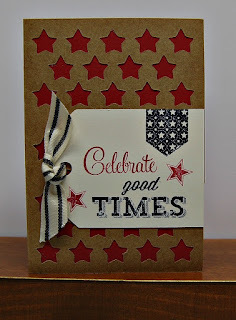 Don't forget to grab your blog badge from the top of this page. 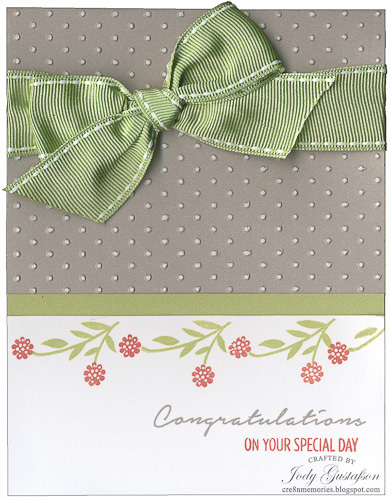 This color dare features the colors in the Blossom paper pack: Glacier, Lagoon, Pear, Hollyhock, Sorbet + Desert Sand & Colonial White. If you don't have those exact colors use something close. Details on how to join us are in the sidebar on the Color My Heart home page. 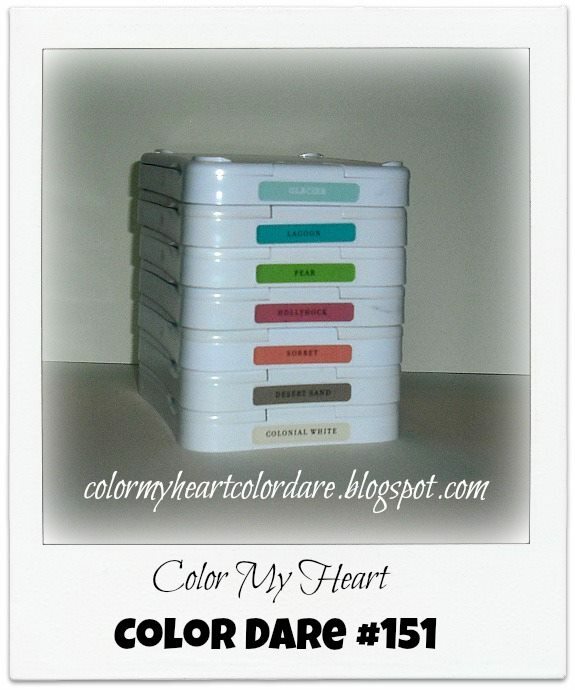 There is still time to join Color Dare #151. It will be open until Thursday at 9:00pm CDT. Good morning! Welcome back to Color My Heart. 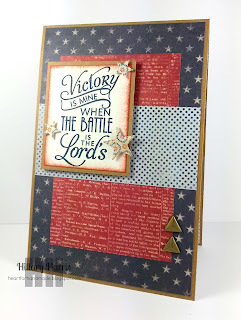 Today we dare you to use colors from one of our summer paper packs, Seaside! 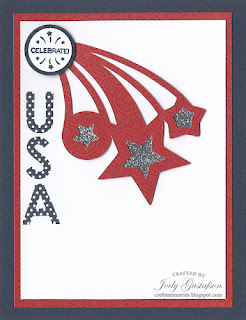 We enjoyed having so many lovely creations for challenge 3149--Ruby, Outdoor Denim, White Daisy and Kraft! They were all so amazing yet we had to narrow it down to just four winners. 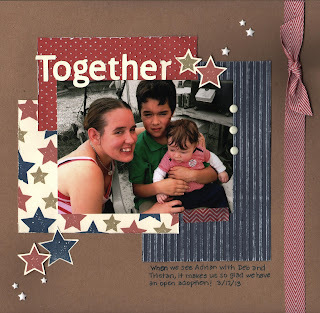 There is still time to join us in a patriotic color scheme. 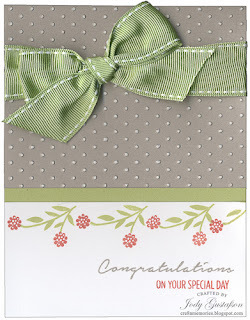 Color Dare #148 features Outdoor Denim, Cranberry and White Daisy and is open until Thursday, July 3 at 9PM CDT. Congratulations to all of our winners this week! Please remember to grab your winner's badge from the top tab on this page. If you have been an Award Winner (from any week) and would like to join us as a Guest Designer please contact Marie at mflayer at comcast dot net. There is still time to join us in Color Dare #150: Sunset, Sweet Leaf, Slate and White Daisy. You have until Thursday July 17 at 9 PM CDT. You can link it up here. Congratulations! 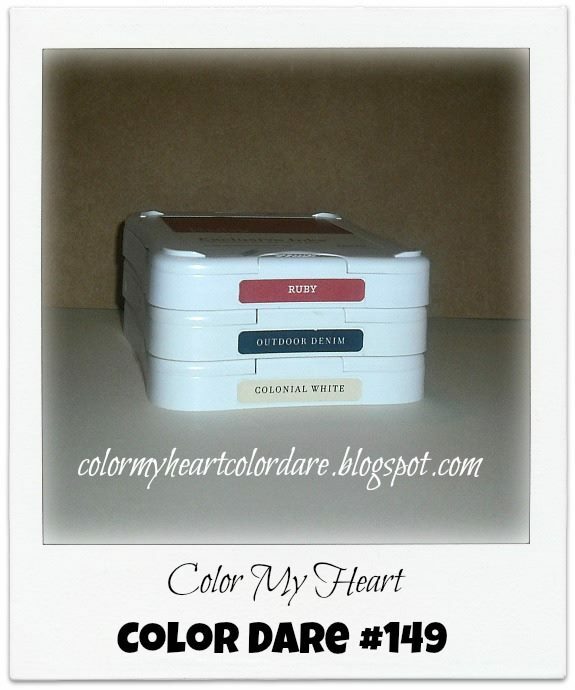 Thank you for joining us in our Color My Heart color dare! 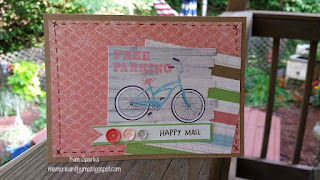 Please email me you mailing address so we can send out your prize. Don't forget to grab your blog badge from the top of the page! It's time to announce the weekly winners! 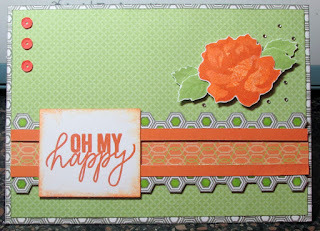 Color Dare #148 featured the colors are Cranberry, Outdoor Denim and White Daisy. Very patriotic! Thank you to all who joined us in this color dare. We had many great entries and it was not easy on the Design Team to vote! But here we go! 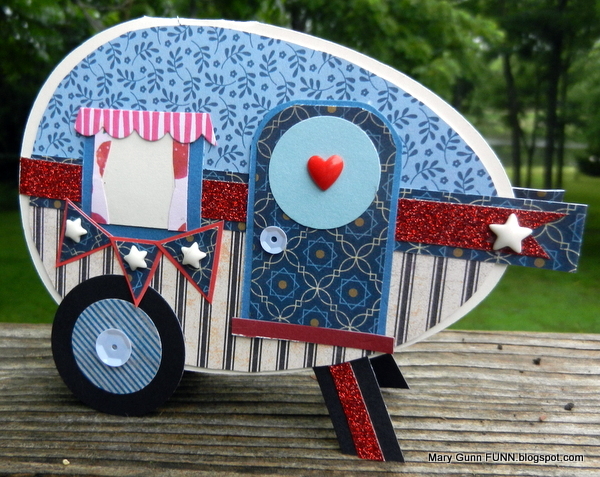 The Diamond winner is Mary Gunn and her adorable camper card! 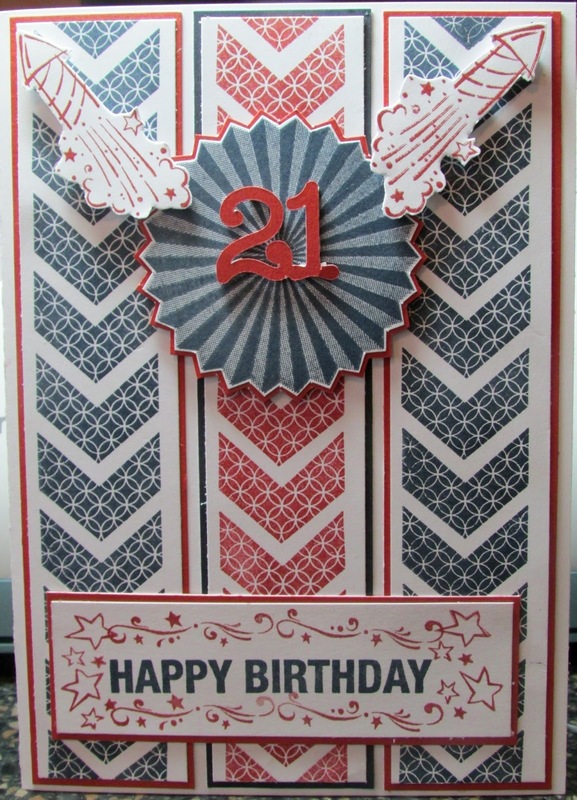 The Emerald winner is Sue Reynolds and her Chevron birthday card for her grandson! 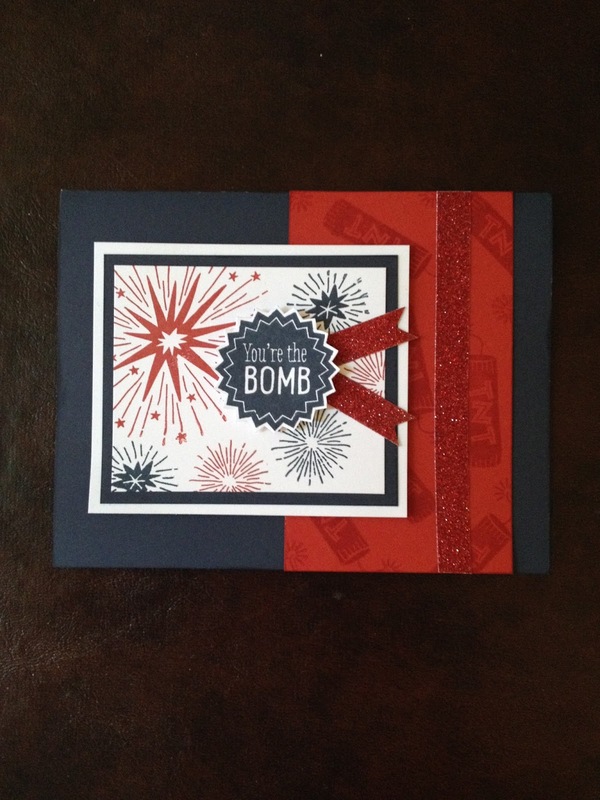 The Ruby winner is Lisa Jarvis and her colorful firework card! The Sapphire winner is Jody Gustafson and her cute USA card! As I mentioned, it was not easy to vote this week! Thank you to all of you for joining us! We hope to see more artwork from you soon. Be sure to tell you friends to join us, too! The more the merrier! Congratulations to our winners! 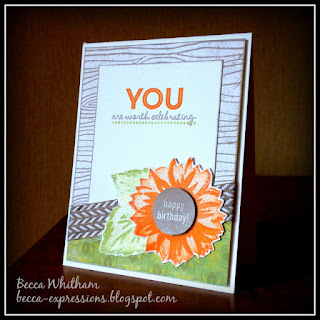 Be sure to grab your blog badge from the top of this page! 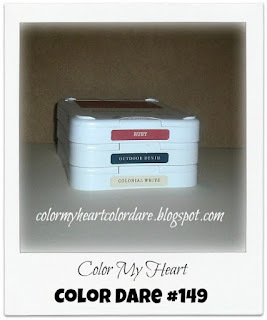 There is still time to join the current color dare. It features the colors of Ruby, Outdoor Denim and Colonial White. 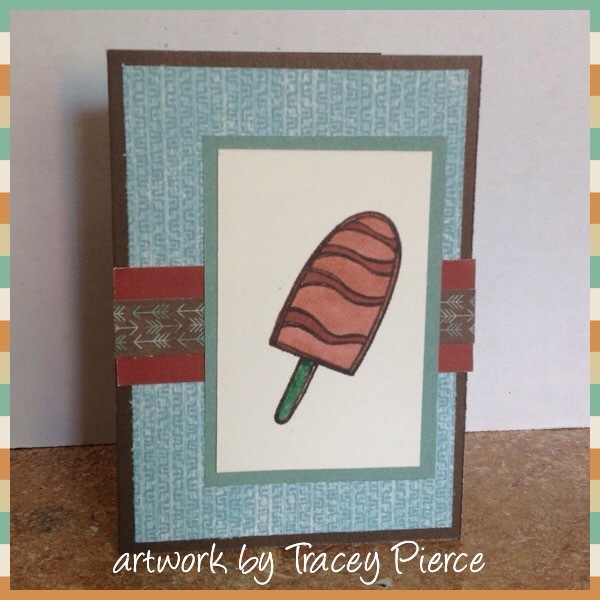 Yes it's very similar to this color dare, but let's see wha you can do with this color pallette! If you don't have the exact colors just use something close. This color dare will close Thursday at 9:00pm CDT. Here are some projects from our awesome Design Team!